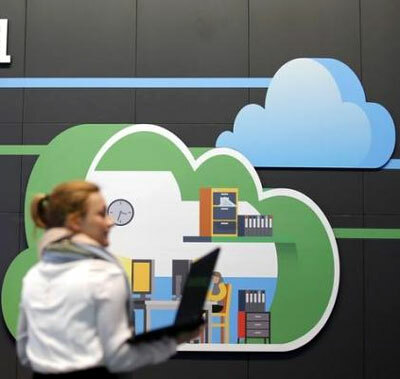 Tata Consultancy Services, Wipro and HCL Technologies would see higher growth for information technology infrastructure management services (IMS) as companies globally moved to the cloud and away from legacy infotech infrastructure, a brokerage firm said. “Enterprises are migrating some of their applications to public clouds as well as working on a private cloud strategy. Indian infotech vendors are gauging a medium-term opportunity in enabling the enterprise cloud strategy (consulting, migration, integration, security). We see steady traction in IMS over the next two or three years as enterprises evolve their cloud strategy,” said Madhu Babu, research analyst with Centrum Broking, in a note. This business could also be aided by new outsourcing opportunities in IMS from Germany, France and northern Europe. Cloud adoption, a market measured at $40 billion in 2014, was expected to continue its rapid growth through 2018 at 23-27 per cent compounded annual growth rates, the Everest Group said in April. The IMS business would flourish for a couple of years due to emergence of data centres, Centum said. But automation of such services meant deal sizes would shrink in the long term, it added. “IMS and BPO are the service lines witnessing the maximum impact of automation, led by cognitive and artificial intelligence platforms. However, this could be gradual and evolve over two-three years,” it said. In 2014-15, HCL, TCS, Wipro and Infosys earned $6.8 billion (Rs 45,519 crore) revenue from IMS services, which grew 21 per cent over the previous financial year. The growth in the IMS service business was more than double the average 10.4 per cent overall revenue growth in the four companies. Wipro and HCL Technologies earn 28 per cent and 35 per cent revenue, respectively, from the IMS business while Infosys' share is 8 per cent and TCS’ 13.8 per cent. “Indian vendors have strengthened their positioning in the IMS market, with HCL Tech and TCS being highly rated by leading consulting firms. Over the past two years, Indian vendors have seen steady deal wins in Europe,” Babu said in the report.